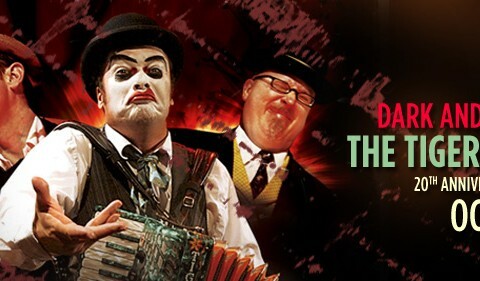 St. Ann’s Warehouse is pleased to welcome back The Tiger Lillies, the wondrously wicked alt-cabaret icons who are celebrating their own 20th Anniversary milestone with Dark and Deviant, a concert of the Lillies’ highly twisted theatrical music. For the first time in years, they will perform songs from their Olivier Award-winning show, Shockheaded Peter, along with a selection of numbers­ from their GRAMMY-nominated album The Gorey End and other deranged favorites spanning the group’s catalogue. A gorgeous ‘nasty picture book’ of a musical…both the silliest and most sinister show in town. It’s not surprising that their cult following is worldwide…A Tiger Lillies gig is a journey into wild emotion which passes right through melodrama and out the other side into bizarre beauty.